OUR SIXTH SEASON: 16 WEEKS, 160 MORE COUPLES. PLEASE PRAY. Memorial Day weekend marked the start of a new Operation Heal Our Patriots season as we welcomed our first group of military couples to Alaska for a week of Biblically based marriage enrichment. The 2017 summer season began May 28 and ran to September 16. Through our photo feed below you can see updates that came in throughout the 2017 season. We invite you to read stories from 2017 of combat-wounded service members and their spouses who have experienced God's healing love for themselves and their marriages. These couples (typically 10 per week) are flown to our wilderness lodge in Alaska where they participate in marriage classes, enjoy daily devotions from God's Word, and are offered confidential Christ-focused counseling with our retired military chaplains. They also have opportunities for physical refreshment by participating together in activities such as kayaking, hiking, fishing, and wildlife viewing. Our ministry to these couples does not end in Alaska as we follow up with them over the long term through our aftercare program. Our staff connects couples with local churches, engages families through regular personal contact (phone calls, emails, social media, visits), and meets with them at regional get-togethers. In addition, Operation Heal Our Patriots reunions and regional training events benefit couples by providing more Christian teaching and tools to fortify their marriage. Many of the participants have also developed deep relationships with one another and support each other directly in a variety of ways. Please continue praying for our staff and the couples they ministered to in 2017. 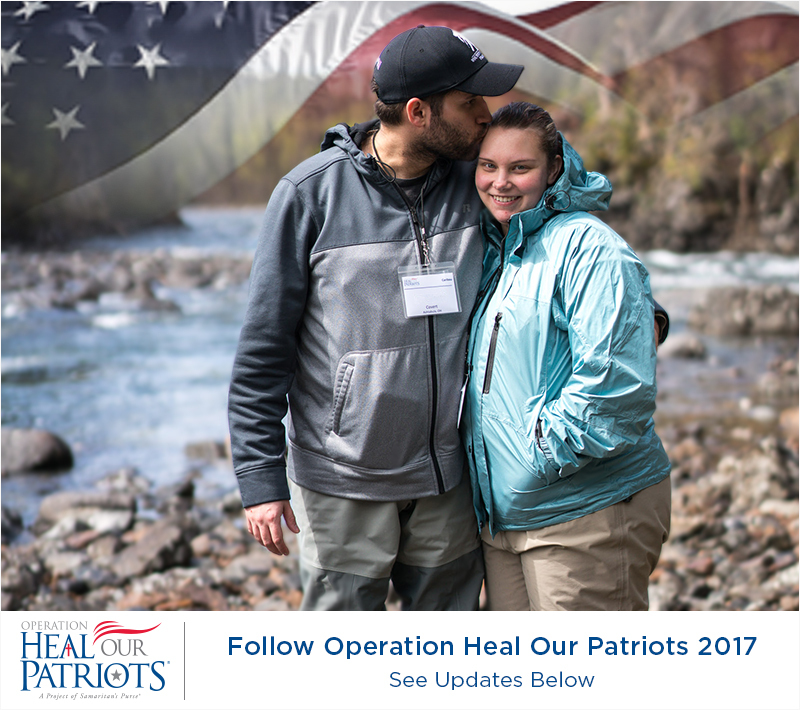 Operation Heal Our Patriots 2017 Has Begun!